The perfect addition to an office setting or waiting room. 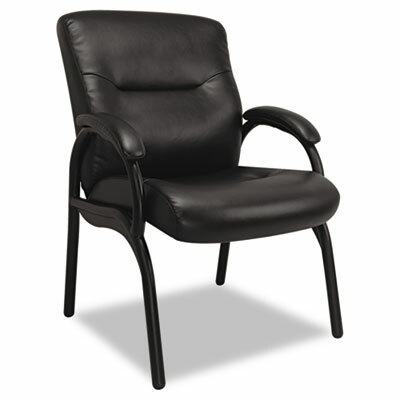 Deep, soft body cushions and padded armrests for luxurious comfort. Pronounced side and lumbar bolsters provide ergonomic support. Soft touch leather and eco foam. Leg caps for floor protection. The perfect addition to an office setting or waiting room. Deep, soft body cushions and padded armrests for luxurious comfort. Pronounced side and lumbar bolsters provide ergonomic support. Soft touch leather and eco foam. Leg caps for floor protection. Easy no-tools, no hardware assembly.